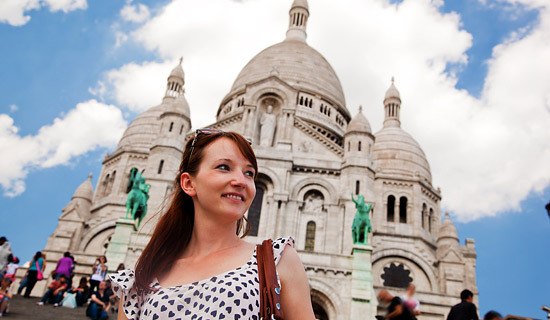 THE DISTRICTS OF PARIS - From Montmartre to the Champs-Elysées ! 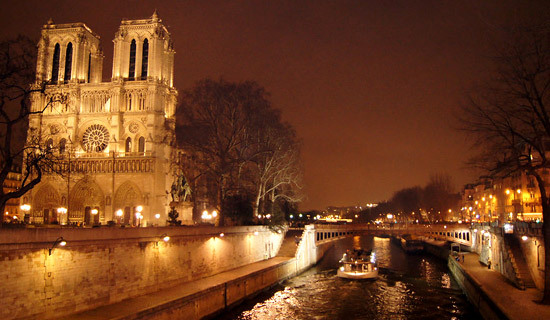 Paris is primarily a magnificent setting : the architectural unity of the capital actually a separate city, and certainly one of the most beautiful in the world! 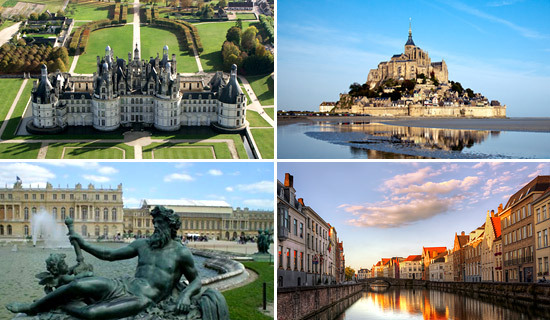 In addition to the great monuments and other sights of Paris, add the multitude of neighborhoods with different decoration, markets, parks and gardens, over-crowded places and deserted places, more connected to the most popular that mark the capital city. The French capital has a historical heritage among the largest in the world, the Eiffel Tower, Notre-Dame de Paris, the Louvre Palace, Arc de Triomphe, Pantheon... More than a monument, it's sometimes even a whole neighborhood that serves as postcard, as Montmartre or the Marais, two well-known neighborhoods that make the landscape of Paris. 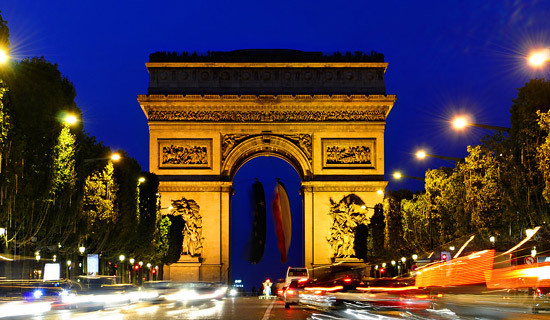 The Champs -Élysées is considered by many as the most beautiful avenue of the capital, and, as an expression commonly used in France and mainly by Parisians as the most beautiful avenue in the world. It takes its name from Elysian Fields, the place of Hades where the virtuous souls staying in Greek mythology. 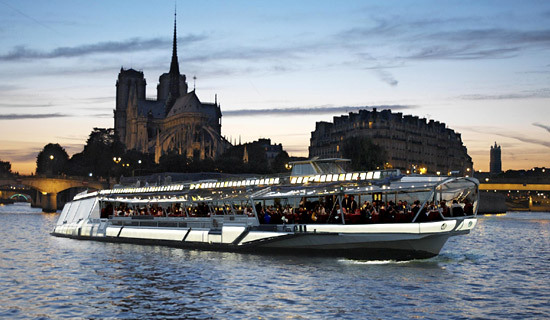 It covers almost 2km from the Place de la Concorde to the Place Charles de Gaulle. essential step of a tour of the capital, the avenue is ideal for stroll at any time of day or night, summer or winter. The Champs Elysees is full of restaurants and bars (Hard Rock Cafe, Ledoyen, Fouquet's...), luxury boutiques (Louis Vuitton, Mont Blanc, Guerlain, Ferrari showroom...), flagship stores of various stores (Banana Republic, Abercrombie, Sephora...), clubs and cinemas. 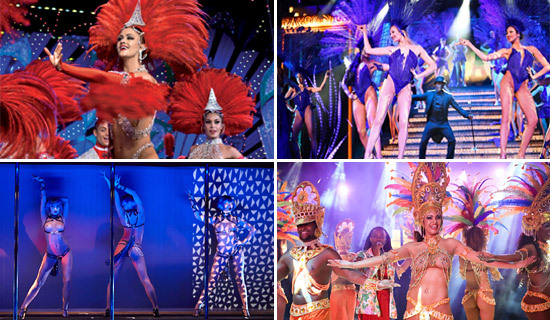 It is also on this avenue that is the famous cabaret Lido de Paris. 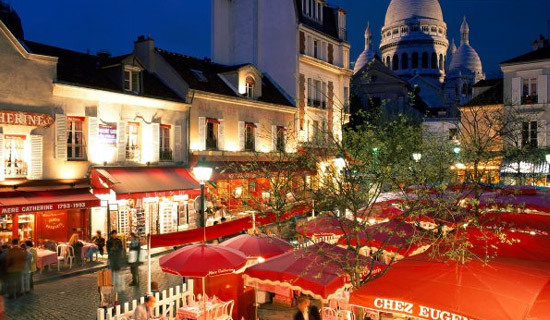 The Latin Quarter owes its name to courses that were offered there, 12C. the Revolution in Latin. Countless colleges it is created, and you can still find the Sorbonne, the famous Parisian university, named after its founder. The university vocation has continued to this day and marked the spirit of this district, frequented by a turbulent youth willingly. That is, with its medieval streets, lively place both day and night. Le Marais is one of the oldest neighborhoods in the capital, it is also one of the trendiest neighborhoods, with many restaurants, cafes, bars, shops, add in several museums. Place des Vosges, rue des Francs-Bourgeois, the hotels in Soubise, Rohan Salé or plunge us into the 17th and 18th centuries, the time of the absolute monarchy and the Enlightenment. 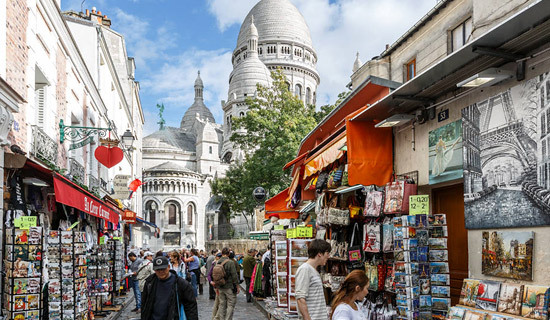 But the present time invested old streets, squares and noble hotels : designer boutiques, art galleries, restaurants and markets are the Marais a particularly lively and trendy. Butte aux Cailles is a picturesque neighborhood in the 13th arrondissement of Paris. It is built on a 62m high hill that overlooked the river Bièvre up that it is done underground in the early twentieth century. A special feature of this area is the lack of large building, this fact is explained by the presence of limestone quarry in the hill, preventing construction of buildings and heavy thus giving the Butte aux Cailles the charm of a village in central Paris. To Ménilmontant, obligatory passage to Père Lachaise and quoted Aubry, a little carefully hidden treasure, attached to the wall of the cemetery, a tiny Parisian neighborhood which combines craft shops and small houses with gardens. Place de la Bastille is the regular venue for various events, but especially popular for its many cafes, restaurants, cinemas and nightclubs. You want to go have a drink in the evening ? The trendy box at the Irish Pub through "secret bar " atmosphere prohibition, Rue de Lappe will make you happy ! 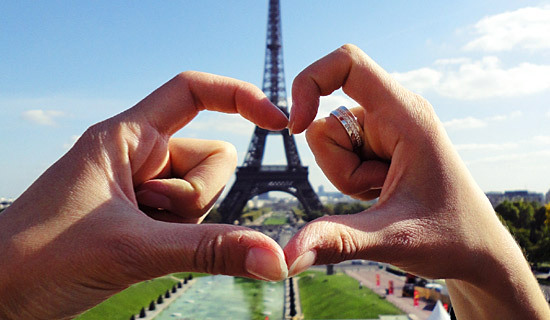 To see: The July Column and the Bastille Opera. Close to the lively Oberkampf district, the channel enjoys a quiet atmosphere for a very romantic setting.